Formed in the Fall of 2011, the Thich Nhat Hanh Foundation is nurtured by a Working Board of Directors comprised of lay practitioners and monastics, four staff members, and dozens of volunteer practitioners who desire deeply to be of service. Sister Hoa Nghiem or Sister Flower Adornment, was born in Saigon, Vietnam. While in Vietnam, she worked as an accountant in a fabric factory, and in 1985, she moved to London to eventually begin her studies as a computer engineer in Southbank Polytechnic. Sr. Hoa Nghiem became a nun in 1991 and became a Dharma teacher in 1998 by Thich Nhat Hanh. She has lived at Plum Village in France, Green Mountain Dharma Centre in Vermont, Deer Park Monastery in California, Tay Linh Temple and Dieu Tram Temple in Vietnam, and Plum Village Thailand. While living in Vietnam in 2007 through 2009, Sr. Hoa Nghiem had the chance to do charity work for the Love and Understanding Program. Sr. Hoa Nghiem now lives at Blue Cliff Monastery in New York, where she serves as an eldest sister, Dharma Teacher, and retreat organizer. In 2016, she joined the Thich Nhat Hanh Foundation as a member of the Grants Committee and Vietnamese Outreach Committee. Her aspiration is to walk on the path of understanding and love, live the life of mindfulness, serve the Sangha, and to help relieve the suffering of people in the world. Her favorite quote by Thay is: "Patience is the seal of love." In Vietnamese, it is "Kiên nhẫn là dấu ấn của tình thương". Australian by birth, Brother Phap Hai or Brother Dharma Ocean, was ordained as a monk in 1997 and a Dharma teacher in January 2003 by Thich Nhat Hanh. He is a senior brother at Deer Park Monastery in Southern California and is an active Dharma teacher who leads retreats, days of mindfulness and talks throughout the western United States, Australia, South America and Asia. His first book, Nothing To It: Ten Ways to Be at Home with Yourself, was published by Parallax Press. Brother Phap Hai has been the co-chair of the Thich Nhat Hanh Foundation since 2011 and feels very moved to have the opportunity to be in contact with so many friends with such depth of practice and generosity. Quote by Thich Nhat Hanh that inspires him: "There is no way to happiness, happiness is the way"
Sister Hoc Nghiem or Sister True Practice, was born and raised in a small village in central Vietnam. She came to the US with her family as refugees in 1995, and they settled in Memphis, TN. At that time, she was 20 years old, and like other young adults, she went to school, hung out with friends, and searched for a more meaningful life. Inspired by Thay’s teachings when visiting a local Vietnamese temple, she ordained as a nun in May 2000 and a Dharma teacher in 2008 by Thich Nhat Hanh. Sr. Hoc Nghiem joined the Foundation Board in 2016 and currently serves on the Grants Committee for the Dharma Sharing Program. Sr. Hoc Nghiem has practiced in Plum Village, Green Mountain Dharma Center in Vermont, and Blue Cliff Monastery in New York. She now lives at Magnolia Grove Monastery and deeply enjoys practicing mindfulness every day, experiencing the happiness of the Dharma, and helping others do the same. Her happiness increases when she sees more and more people come to this remote area of Mississippi to enjoy the Dharma. Brother Phap Huy or Brother Dharma Radiant, is a Vietnamese-American monk who immigrated to the U.S. in 1988. He first came in touch with the Plum Village practice when he was 18 years old, when his mother brought him to a retreat as a birthday present. So inspired, he continued to practice and joined the Order of Interbeing in 1998. Around this time, he entered university in order to study computer science, but eventually his heart asked him to follow his spiritual path. In 2001, Br. Phap Huy became a monk, and in 2008, he became a Dharma teacher by Thich Nhat Hanh. In his blood family, Br. Phap Huy also has two aunties and one cousin who have also ordained in the Plum Village tradition. Brother Phap Huy has been practicing at Magnolia Grove Monastery since 2011, and as the senior monk, he aspires to offer his best to the community and take care of his younger siblings. He has traveled to many countries to offer mindfulness retreats, and he has also traveled to support Thay’s health. Brother Phap Huy has been part of the Foundation board since 2017, and he sits on the finance committee. Brother Phap Ho or Brother Protection, was born and raised in Sweden, where he graduated from the University of Lund in 1997. He started to meditate in his second year of university and found the teachings of Thich Nhat Hanh while traveling in India. He came to Plum Village in 2002 and ordained as a novice monk in 2003. Since 2006 he has lived and practiced with the Sangha at Deer Park Monastery. At Deer Park, in addition to following the daily schedule, he enjoys having tea with his brothers and hiking the beautiful chaparral covered hills and valleys. He helps in organizing retreats and tours, is active in the Wake Up movement and in the North American Dharma Teachers Sangha. Since 2010 he has been serving as the acting abbot at Deer Park. When the Thich Nhat Hanh Foundation started in 2011 he was asked to join the board as a monastic representative. He likes sitting under a tree to enjoy the sunset and his favorite practice song is "mother earth is a great big ship." Brother Phap Khong or Brother Dharma Emptiness was born in Vietnam and moved to the USA in 1975. Before becoming a monk, he lived in Philadelphia, Pennsylvania where he worked various banks for 23 years and held different international positions. In 1992, Br Phap Khong met Thay and started reading his books. He was so inspired that he began attending the sangha in Philadelphia, and in 2001 he attended the three-month winter retreat at Plum Village. Br. Phap Khong ordained as a novice monk in 2003 and became a Dharma teacher by Thich Nhat Hanh in 2010. He joined the Foundation in 2017, and he serves on the Legacy Funds committee, where he helps manage bequest gifts. Br. Phap Khong currently resides at Blue Cliff Monastery in upstate New York where he has been serving the sangha for about 10 years. He speaks several languages, including English, Vietnamese, French, Spanish and some Mandarin. His interests include studying Buddhist psychology, modern neuroscience, sightseeing, taking photographs, and swimming. Quote by Thay that inspires him: “Mỗi bước chân đi vào Tịnh Đô”, “Each step is the Pure Land”. Natascha Bruckner, True Ocean of Jewels, ordained into the Order of Interbeing in 2012 and joined the Foundation Board in 2015. She holds a Master of Fine Arts degree in creative writing from Naropa University. As a professional writer and editor, she has provided copywriting and editing services as well as fundraising support for a nonprofit women’s shelter, an independent high school, a university, and several newspapers. From 2010 to 2017, she served as the managing editor of the Mindfulness Bell magazine, Plum Village’s international publication on the art of mindful living. She works as an editor for E.L. Achieve, a company whose mission is to assist educators in equipping English learners for academic achievement. Natascha is a member of the Heart Sangha in Santa Cruz, California, where she lives with her partner, Zachiah Murray. She also serves as a volunteer co-facilitator for a Buddhist Sangha in a men’s prison. Ron Forster, True Ocean of Courage, ordained into the Order of Interbeing in 2011 and is an active mentor of aspirants. He was a founding member of Friends of Deer Park, co-facilitates the Really Beneficial Sangha, and was a lead coordinator and fundraiser for the Deer Park Ridge land protection. Ron has served on the Thich Nhat Hanh Foundation Board for several years. He is grateful to offer his professional experience, MBA and 30-plus years of marketing and business experience, to support the Foundation Board – first as the Financial Committee chair and now as Lay Co-Chair. He is also on the board of the Escondido Creek Conservancy, a group that protects natural habitat and provides environmental education for children. Through Thich Nhat Hanh’s teachings, Ron recognizes our need for a collective awakening as a society for our future to be possible. Whenever possible, Ron enjoys being at Deer Park with the monastics and lay practitioners, and helping connect people (particularly young people) with nature is his deepest aspiration . He lives in Escondido, California and enjoys gardening and nature photography. Monglan Ho, True Precious Attainment, ordained into the Order of Interbeing in 1994. From the time of her ordination to 2004, she helped organize mindfulness retreats, public speaking events, and fundraising events in the Vietnamese community for Thich Nhat Hanh. In the past few years, she also helped plan retreats at Deer Park Monastery for the Vietnamese Sanghas in Southern California. She is a member of Blooming Lotus Design and has been practicing with the Rosebud (Nụ Hồng) Sangha in Orange County since 1993. Monglan is a dentist with two offices in Orange County. She has been managing her employees with these mindful themes from Thich Nhat Hanh : “interbeing” with each other and with patients, “community working in harmony” within the office, and “go as a river” in body and mind. She brings mindfulness practice into the flow of everyday life and incorporates breathing meditation technique to help patients dealing with pain and anxiety when receiving dental treatments. Monglan lives in Tustin, California, cultivating the garden of peace and planting seeds of joy together with her husband and daughter. She enjoys drinking tea, editing Vietnamese books, writing poetry and calligraphy, singing and photography. Laura Hunter, True Ocean of Teachings, ordained into the Order of Interbeing in 2011 and has been a member of the Foundation Board since its inception. She has over 25-years of experience working for a non-profit environmental justice organization where she developed and implemented grassroots organizing and advocacy campaigns for low-income and communities of color. She has a deep commitment and experience with promoting diversity in organizations, mobilizing and activating communities to speak and act for themselves, and protecting our beautiful and wonderful planet and all her inhabitants. Professionally, she served as an Associate Director with the San Diego Environmental Health Coalition for 25 years and as a Board member on the Military Toxics Project, an environmental justice organization organizing to protect communities of color and indigenous communities from contamination by military operations. Recently retired, she is currently a volunteer organizer with Escondido Neighbors United and a member of the Palomar Audubon Society Conservation Committee. She is a founding member of the Community of Mindful Advocacy which seeks to offer the practice of mindfulness to nourish and sustain public interest advocates in the important work they do. Laura sits with the Really Beneficial Sangha, a group of practitioners who support Deer Park Monastery. Her current aspiration is to be a Master Composter both in her garden and on her cushion. She lives in Escondido, California where she likes to bake bread, pet her dogs, and is grateful for the practice of mindfulness every day. Adrienne Minh-Chau Le, Joyous Message of the Heart, has been part of the beloved Plum Village community since 1996 and joined the Thich Nhat Hanh Foundation Board in 2016. She is a writer, campaign strategist, and grassroots engagement and fundraising consultant based in New York City. Her clients have included USA for UNHCR, MTV, Perception Institute, and The San Francisco Film Society. Previously, Adrienne managed digital campaigns and online fundraising at Everytown for Gun Safety - the largest gun violence prevention organization in the US. She holds a BA in History from Yale University. Adrienne enjoys being near bodies of water, taking care of plants, playing guitar, reading, singing, and writing. She is inspired by people who are fiercely compassionate and grounded in love. Quote by Thich Nhat Hanh that inspires her: "Each one of us has to be our true self: fresh, solid, at ease, loving and compassionate." Elizabeth Stanley, True Ocean of Attainment, is a member of the Order of Interbeing and a founding Board member of the Thich Nhat Hanh Foundation. She has dedicated herself, personally and professionally, to helping others and has worked with many nonprofit organizations for the last 20 years. Her focus is on providing organizational effectiveness training, strategic planning, team building, facilitation, Board development and high level fundraising consulting. Elizabeth has served as a leader for animal welfare, wildlife conservation, education and environmental nonprofits. Elizabeth’s passion is helping others; be it nonprofit leaders, the Earth or the plants and animals that we share it with. She believes that to create real organizational change we need to approach it in a holistic way that acknowledges the interconnectedness of all parts of the whole. Being of service is what nourishes her both professionally and personally. She has a broad nonprofit background and currently serves as an organizational development consultant to environmental organizations in the U.S. and Canada. Elizabeth sits with the Singing Bird Sangha in Tucson, Arizona. She enjoys fostering kittens, knitting like the wind, making pottery, growing things, and being in nature with her husband, whom she married at Deer Park Monastery. Jim Tillman, True Realm of Magnolias, ordained into the Order of Interbeing in 2013. He has been practicing in Thich Nhat Hanh's tradition since first visiting Magnolia Grove Meditation Practice Center in 2008. Jim is a founding member of the Jackson Area Moments of Joy Sangha, which began after Thay's 2011 retreat in Batesville, Mississippi. In 2014, Jim helped organize the first retreat in Thay's tradition for people in Twelve Step programs, and he has a deep aspiration to help those who suffer from addictions. Jim graduated from Mississippi State University with a civil engineering degree and earned his Professional Engineer (PE) registration in 1994. 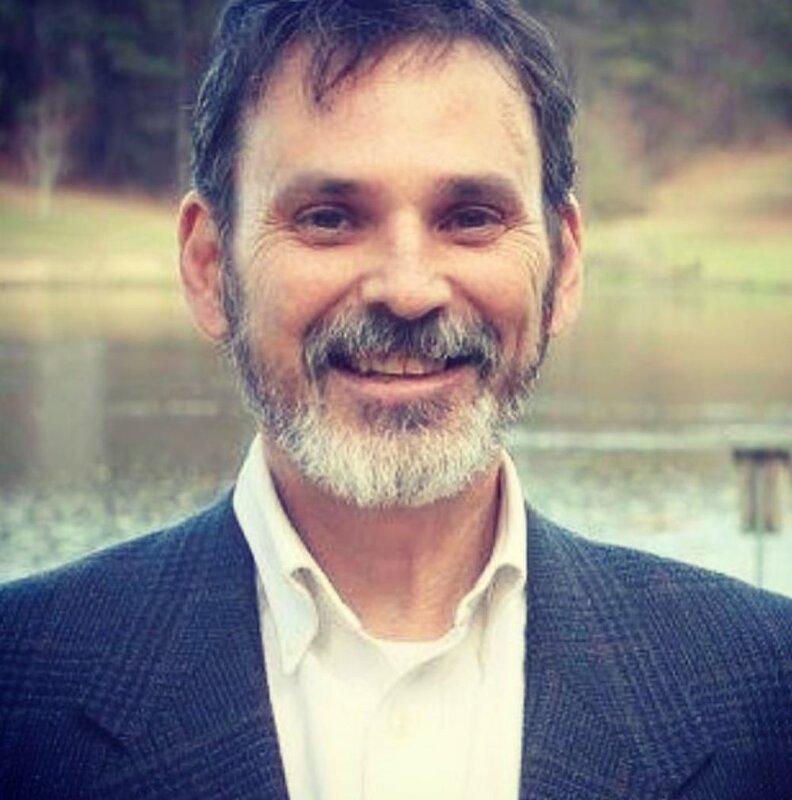 Jim served as an environmental engineer for the Mississippi Department of Environmental Quality for over 27 years. He retired in July of 2016 and began work as a Senior Consultant with CGI, global information technology (IT) consulting firm. Jim is passionate about music, senior citizens, and hospice care. Jim has been married to Emily Tillman since 1991 and is the proud father of two sons, Tripp and Jacob. He is also very proud of his wife, who has been awarded “Teacher of the Year” several times during her career. Jim is inspired by Thich Nhat Hanh's quote, “No mud, no lotus,” and he thinks “No mud, no magnolia” is equally apropos. Christina Walker, True Garden of Suchness, practices with the Florida Community of Mindfulness. During her 30+ year career, she has worked with nonprofits around the world in the fields of conservation, international development, global health, and human services. Currently, she runs her own consulting firm where she and her colleagues provide services in fundraising, communications, strategic planning, and board development for nonprofits in the US and abroad. Prior to establishing her own consulting firm, Christina was the Director of Conservation Leadership for The Nature Conservancy’s Latin America Region where she headed its philanthropy, marketing, corporate engagement, and board development efforts. Christina also served as the Conservancy’s Chief Philanthropy Officer where she planned and launched their successful $1.6 billion campaign, the largest in conservation history. Christina holds a B.A. in Public Administration and Criminal Justice from Park University and an M.A. in International Relations from the University of South Carolina. She also has a post-graduate certificate in Sustainable Development from Goddard College. Christina has a lifelong, passionate commitment to the environment and loves spending her time exploring the world’s wild places. She lives in Sarasota, Florida with her husband. They have three grown children who they don’t get to see often enough, but their two kitties and local alligator keep them entertained. Denise Nguyen, True Moon Lamp, ordained into the Order of Interbeing in 1991. In addition to being a founding Board member of the Thich Nhat Hanh Foundation, Denise has partnered and collaborated with civic leaders, technology companies, universities and community-based organizations to organize mindfulness events for Thay and his monastic community for the past 20 years. She has also appeared in two documentaries of the Zen master, Peace is Every Step: Meditation in Action and Colors of Compassion. Denise is a founding member of the Los Angeles Compassionate Heart Sangha in Hollywood and has helped grow and mentor other mindfulness practice groups in Southern California. Most recently, she was humbled to be ordained a Dharma teacher by Thich Nhat Hanh in 2014. Denise received her Master's degree in Health Policy and Management at the Harvard School of Public Health and has over ten years experience applying program, project and business management skills to health care companies such as Partners HealthCare and Kaiser Permanente. She lives in Los Angeles, California where she enjoys hiking, brush lettering, cheering on the Boston Red Sox, and willing her garden plantings to grow despite her black thumb. Quote by Thich Nhat Hanh that inspires her: "To be beautiful means to be yourself. You don't need to be accepted by others. You need to accept yourself." From The Art of Power. 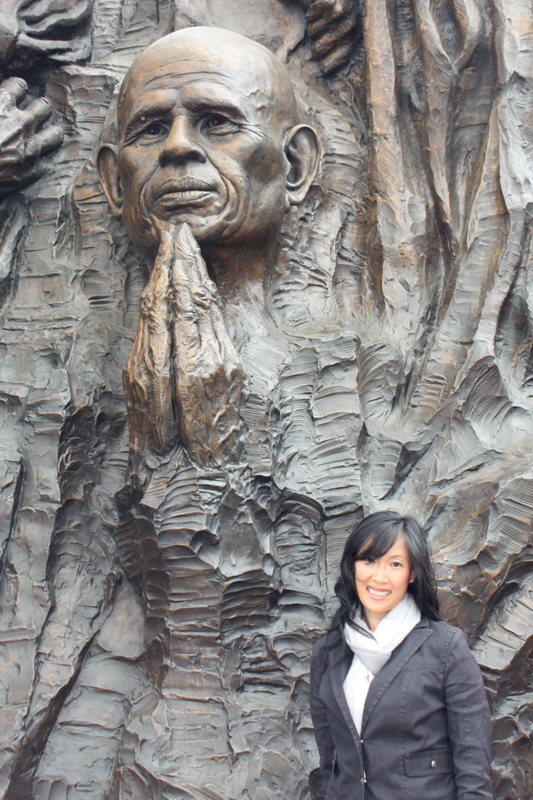 Mousqa Katawazi, Solid Trust of the Heart, joined the Thich Nhat Hanh Foundation in 2013. Prior to joining the Foundation family, she served as a school counselor for students in K-12 education and as a career counselor for veterans. Mousqa was first introduced to Thich Nhat Hanh’s teachings in 2002 and has been a student ever since. She was drawn to Thay’s work because of his reverence for all living beings and his spirit of non-discrimination and inclusiveness across cultures and species. Mousqa has hope that through mindfulness practice, we can become our most compassionate selves. Mousqa is a life-long learner and lover of nature. Her passion in life is learning how we as human beings can better honor our relationships with the non-human members of our Earth family. In her spare time, Mousqa enjoys reading, gardening, playing with her dogs, and watching the stars at night.Mousqa is a graduate of UCSD, where she earned a B.A. in Ethnic Studies; and a graduate of SDSU, where she earned an M.S. in Counseling. Quotes by Thich Nhat Hanh that inspire her: "We are here to awaken from the illusion of our separateness" and "Reverence is the nature of my love." Tram Nguyen, Returning Path of the Heart, was born in Saigon, Vietnam and came to the United States with her family as refugees when she was 8 years old. Growing up, she moved around with her family many times due to their work. She currently lives in Temecula with her parents. Tram was introduced to the Plum Village tradition in 2016 . She was fortunate to have the opportunity to live and practice with the brothers and sisters at Magnolia Grove Monastery in Mississippi for seven months in 2017. She is a member of the Wake Up Little Saigon (WULS) Sangha in Orange County and recently started a Teen Sangha with other fellow WULS members. She enjoys being in nature and loves to look at the leaves and hug trees. She also likes to stay active with running, biking, and swimming. Quotes by Thich Nhat Hanh that inspire her: "Mindfulness is a source of happiness" and “Walk as if you are kissing the Earth with your feet." Nicole Paola Kramer, Nourishing Bridge of the Heart, began meditating in Northern California at the age of fourteen. She was most struck by the teaching of interbeing, as explained in Thay’s book “Old Path, White Clouds.” She continued to practice across several traditions, reading books, attending retreats and facilitating sanghas in California and New York. In 2015, Nicole visited Thai Plum Village, where her heart burst in awe of monastic life. She now regularly visits Blue Cliff Monastery and is an active member of Wake Up New York. Nicole studied Sociology at Columbia University, working to bridge the University to its surrounding communities and help locals take advantage of University resources. She has worked in Communications at several non-profits in the United States and India. She adores teaching high school students, hiking, dancing and singing, and most of all, spending time in community.